Comment: Need a window well cover and I need a window well to be abandoned and filled in. Comment: 1968 home. Two or more egress windows. Existing windows are original. Will consider any options. Comment: replace existing (failing) wooden window well. approx 67" Wide, 36" Deep (or code requirement), 60" tall. Comment: 1968 home. Need 2 egress windows. Comment: Hail storm late last summer destroyed a dozen screens in my home in Broadmoor Bluffs. The screens need to be completely replaced. They are off-white. Colorado Springs Window Replacement Companies are rated 4.66 out of 5 based on 647 reviews of 36 pros. 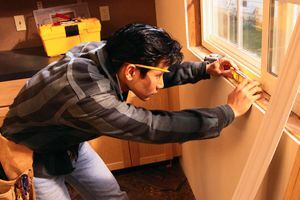 Not Looking for Windows Contractors in Colorado Springs, CO?